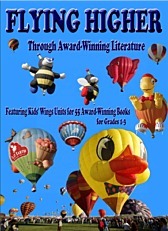 You can purchase a collection of FIVE Kids' Wings Science/Math Units in 49 pages of activities for Reasons for Seasons, Bubbles Float Bubbles Pop, An Island Grows, Just a Second, and Perfect Square! NOW for immediate download for only $12.95! An Island Grows is the story of a volcanic island that is formed in the ocean, told simply from the first red hot magma that leaks into the floor of the ocean, to the building of the island, to its becoming populated with plants, animals, and people. Brief rhyming sentences and simple illustrations describe the profound sequence in clear and easy words for all ages. Brilliant in its simplicity! A must have for science in classrooms and libraries. 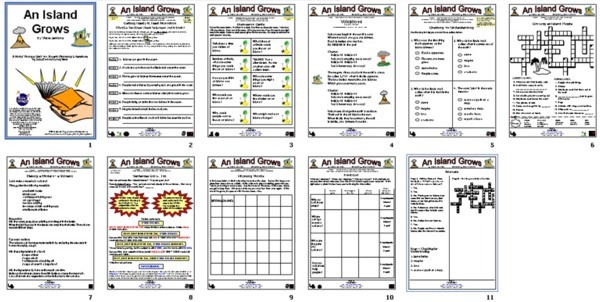 A 9-page unit for An Island Grows by Lola Schaefer is a part of a collection of 52 units in Flying Higher.